The Gnutti Cirillo Group has been one of the main entrepreneurial realities of Brescia since the 50s. 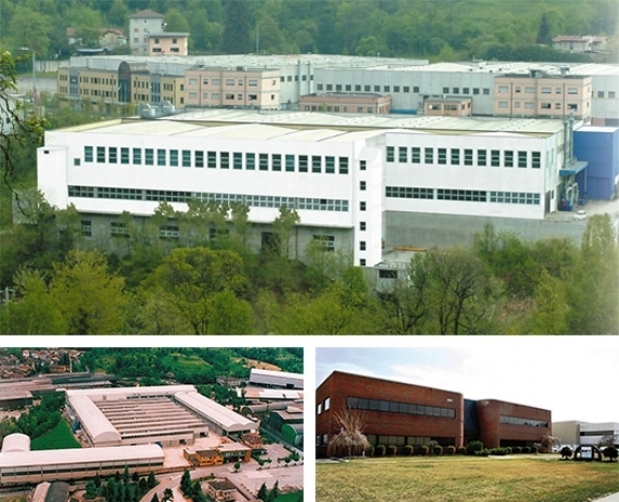 The activities of the group extend from the Val Trompia, to the hinterland of Brescia, and also include an important subsidiary company based in the USA: Metal Forming Technology Inc. Compared to other industries in this field, the activity of the group, distributed between different production units which are totally integrated with one another, stands out for its total self-sufficiency in the production chain: from design to hot brass forming, from the various brass bar machining phases to surface treatments, from automatic assemblies to final product packing. A holding company, located in Lumezzane (Bs), Gnutti Cirillo S.p.A today is rightly considered one of the best and most important world realities in the field of hot forming and machining of brass and special alloy components (with in-house mould and equipment design and production), together with all the mechanical machining and assemblies, carried out with one of the most advanced machinery. Ample space is given to design carried out by highly specialised personnel. Thanks to this, Gnutti Cirillo S.p.A. has been able to gain the position of European leader in the O.E.M. (Original Equipment Manufacturer) brass machining. Design and production of the moulds, blanking dies and of all the equipment used during the following machining phases carried out directly in the Lumezzane workshops are the origin of the production chain. Gnutti Cirillo S.p.A. is situated in a geographical area which produces 80% of Europe’s press-forged brass products. Over the years, this has consolidated the relationships with the most reliable suppliers of raw material. The important industrial complex specialised in brass, aluminium and special alloy hot-pressing is based in the branch of Odolo (Brescia). The facility, established in year 2000, has a series of records among which that of being one of the biggest and most modern in its field. The over 33,000 tons of brass forged each year are the most evident proof of the leadership it has gained in Europe. A considerable part of brass that is machined here is bound to be used in the next production phases in the Gnutti Cirillo facility in Lumezzane and that of Tiemme Raccorderie in Castegnato. This is a precious support for Tiemme’s production as it guarantees all the processes upstream to its production. Metal Forming Technology Inc., situated in the state of Michigan (USA), is a subsidiary company of the Gnutti Cirillo S.p.A., and is specialised in brass hot-pressing, production and marketing of O.E.M. products. In brief, this group of companies owns the whole technical-production chain that transforms raw materials into finished products, ready to be marketed. The chain therefore depends exclusively on the Gnutti Cirillo Group.